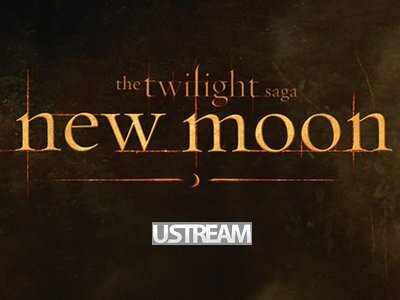 Ustream may be playing a part in making history with its involvement in The Twilight Saga: New Moon movie. On Monday, Nov. 16, more than 2 million unique viewers tuned into our exclusive red carpet broadcast with partner MySpace as the stars made their way into the first screening of the film, which hits theaters on Friday, Nov. 20. 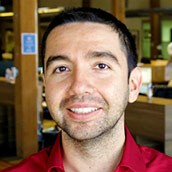 The webcast was the farthest-reaching event Ustream has streamed to date with more than two million unique viewers. The event was also the largest number of total viewers for any Ustream red carpet broadcast with an astounding nearly three million viewers, exceeding a previous record set by our broadcast with Sony Pictures of Michael Jackson’s This is It red carpet several weeks ago. If you missed seeing Robert Pattinson, Kristen Stewart, Taylor Lautner and other stars on Monday, check out the recorded video here. Going to watch New Moon on opening night? 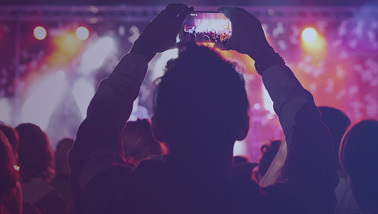 Broadcast or record your experience live using one of Ustream’s mobile applications for iPhone, Android or Nokia phones! Check out details here. Courtney Glynn, the winner of MySpace’s Red Carpet Correspondent contest, was granted the opportunity to interview the stars during the webcast and attended the premiere. The broadcast was co-hosted by Anya Marina, writer and performer of “Satellite Heart” on The Twilight Saga: New Moon Original Motion Picture Soundtrack and Quddus, current host of “The MySpace Music Feed.” In attendance from the film were Kristen Stewart, Robert Pattinson, Taylor Lautner, Ashley Greene, Dakota Fanning, Peter Facinelli, Elizabeth Reaser, Kellan Lutz, Michael Sheen, Nikki Reed, Noot Sear, Jamie Campbell Bower, director Chris Weitz, author Stephenie Meyer, along with celebrity guests 50 Cent, Richie Sambora, Joan Jett, Cat Deeley, Emma Roberts, Jennifer Love Hewitt, Jamie Kennedy and more.